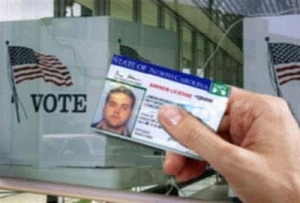 The North Carolina Senate has now passed (and the House will soon take up) a bill that would mandate and set the terms for the new state constitutional requirement mandating a photo ID for in-person voting. Unfortunately, the debate has not yet been informed by a fiscal note that outlines what taxpayers will have to pay to implement a bill that will disproportionately exclude Black and brown voters from the electoral process, and create new barriers to voting for voters who live on fixed incomes and in poverty. The current version of the bill notes the procedure by which a voter will present proof of identity at a polling location, along with a list of the types and categories of photo identification that could be accepted. It is unclear in the bill language, however, just how county boards of elections will fund guaranteed access to no-cost photo identification that complies with the constitutional amendment. Even with the guarantee of no-cost voter identification, a Budget and Tax Center analysis conducted this fall, found that the costs to individuals in securing supporting documents, travel and wait times, and the resultant lost wages could force eligible voters to choose between securing voter identification and paying for groceries, medicine, childcare, and other necessities. A fiscal note, outlining the cost of the implementation of the bill, is crucial to providing a realistic understanding of the costs to all North Carolina taxpayers and the trade-offs that policymakers will make when other priorities that expand opportunity are unfunded. Our analysis drew from special data requests to agencies about the costs of educating voters, staffing poll locations and DMV offices, and conducting voter education and outreach to find that the potential costs to the state could be $9 million. As analysts have pointed out, based on the litigation costs to defend the last iteration of North Carolina’s voter ID law ruled unconstitutional by the courts, at least an additional $3 million could easily be spent to defend this bill. Given this data and what we know about the costs in other states of such unnecessary requirements, we approximated a conservative estimate of the cost of this bill to North Carolina taxpayers at $12 million. At a time when the state budget has failed to meet real community needs, it is important that legislators weigh the costs of erecting barriers to voting for some, against the need to build pathways to opportunity through good quality public schools, health services, and economic development for all. Let’s hope the state House takes such action when it commences consideration of the bill next week. I do believe coming from a rural county with a low income; you’d be hard pressed to find people who don’t have some form of photo ID.